Mild Steel/Wrought Iron Dagger Gallery. 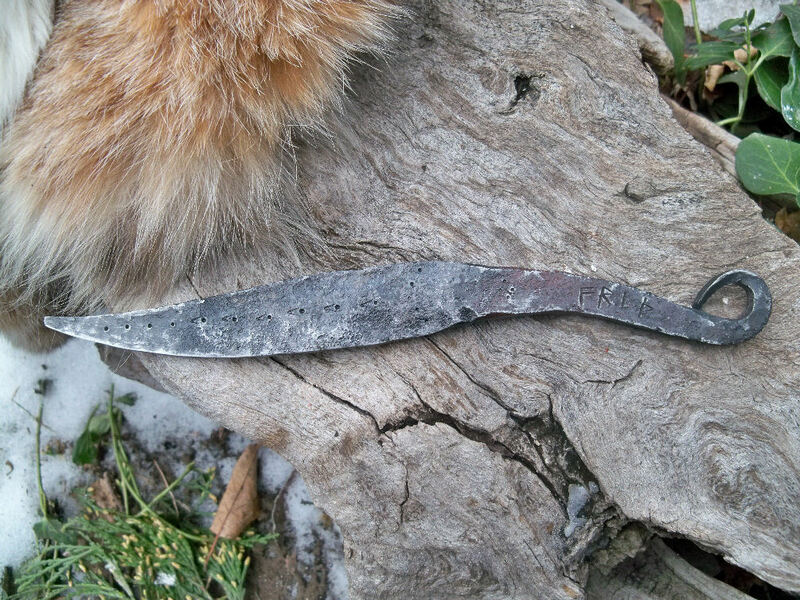 Recycled Steel: Wroughr iron Athame with brushed finish. Steel Recycled from a structural ring (18-20% carbon. 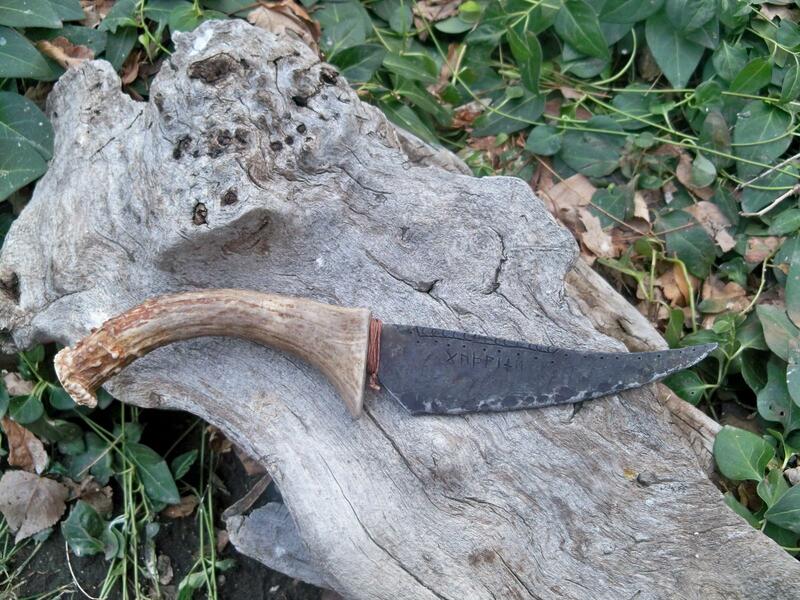 Wrought Iron Athame with Antler handle. 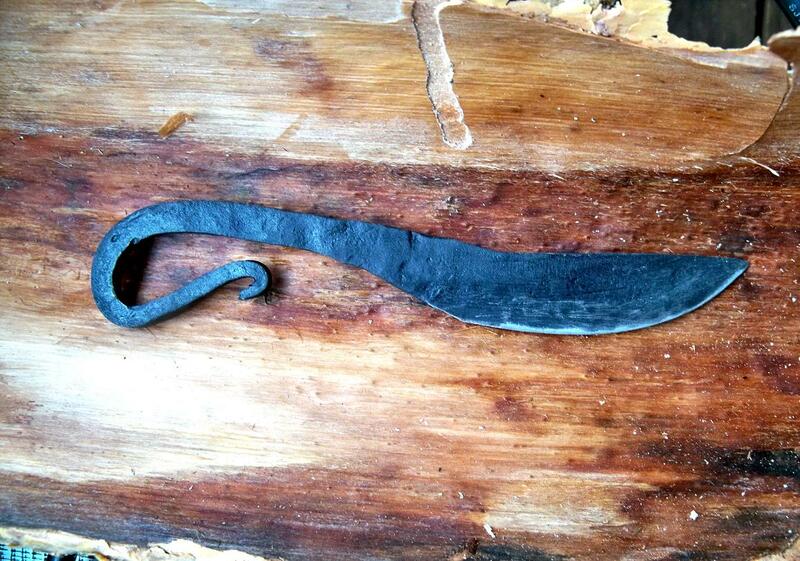 Athame: A tool used by a Witch, Sorcerer or Shaman for various energy practices and rituals. Done in Nordic style with chiseled Runic marks. 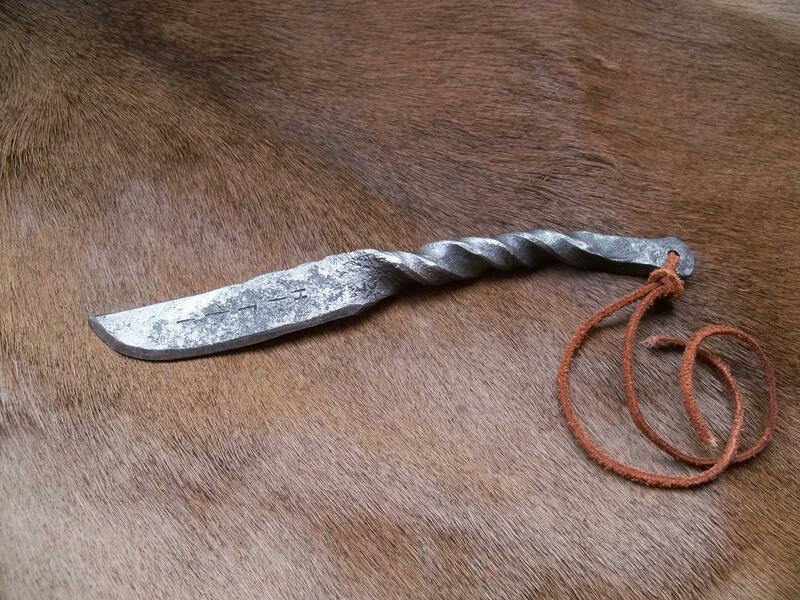 Forged with hammered edge for increased strength, A early iron age technique called hammer hardening carried over from the bronze age smiths. Viking style. 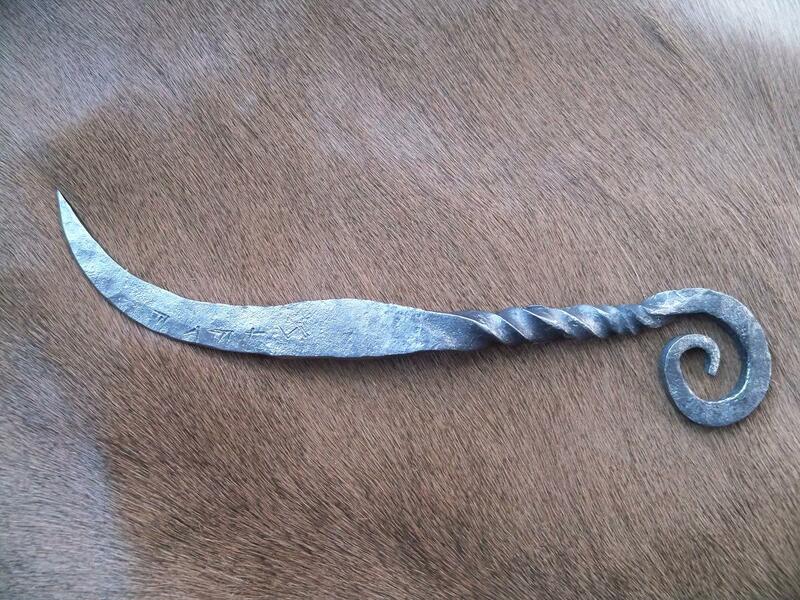 Viking style wrought iron piece forged from carbon steel round stock. Recycled Wrought Iron with Visigothic influence. Cold chiseled Runes. This entry was posted on January 11, 2011 by .. 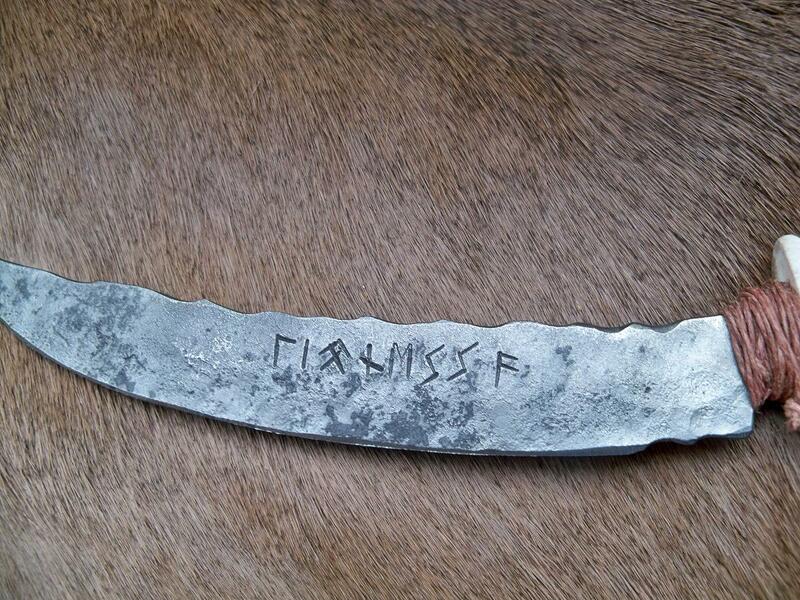 It was filed under Knife making-Blacksmithing and was tagged with bronze age style knives, chiseled runes, coal forge, cold chisel, cold chisel knife engraving, dagger, decorative art, hand forged, iron, iron art, iron work, low carbon steel, metalwork, mild steel, steel stamping, wrought iron.